On November 16th, 2010, the world was once again introduced to this stunning 18 carat blue sapphire on the hand of Kate Middleton, Prince William’s future wife. We remember this iconic heirloom from the late Diana, Princess of Wales. There was controversy over Princess Diana choosing this ring from Garrard Jeweler’s catalog, a catalog that anyone could buy from, as opposed to having an engagement ring specially made. Though it didn’t take long before this ring became a treasured symbol of Diana’s elegance and influential taste in fashion. Within hours of the ring’s recent unveiling, many jewelers were commissioned to create replicas, and you can find inexpensive knock offs pretty much anywhere. In my own experience, a very high-end antique jewelry dealer reported selling multiple large sapphire gems that are usually slower sells due to their high price and low demand. 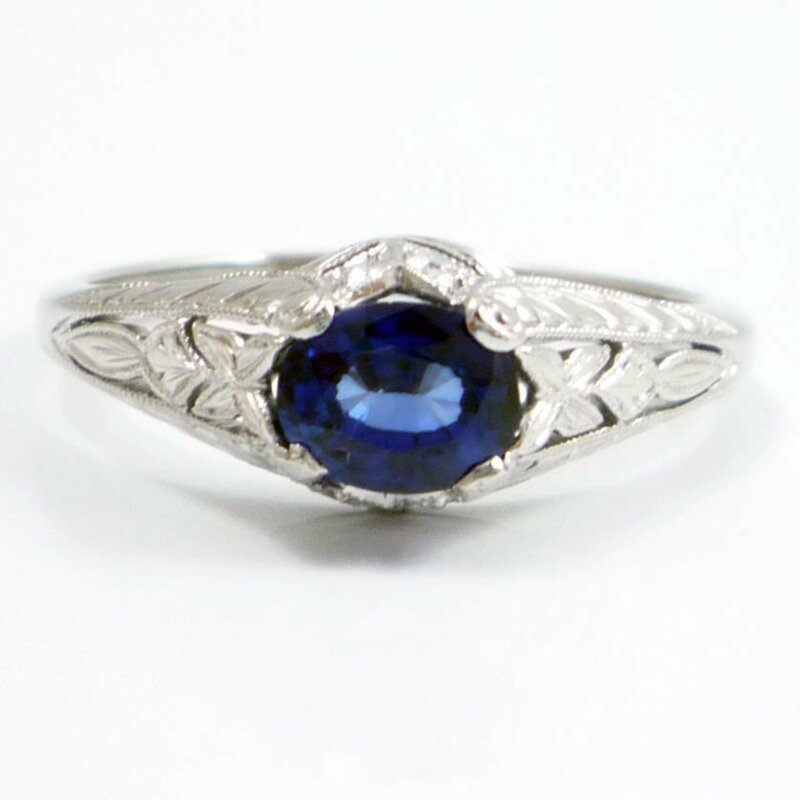 It is amazing how trends are cyclical, no matter how timeless I feel sapphires are. In fact, sapphires are more rare and thus more precious than diamonds… and if it takes two princesses to open the world’s eyes to their beauty, so be it. In feng shui, blue is also the color of trust, truth and peace. It is calming and soothing, and out of peace, comes love. Navy blue represents wisdom. If you’re into that sort of thing.. 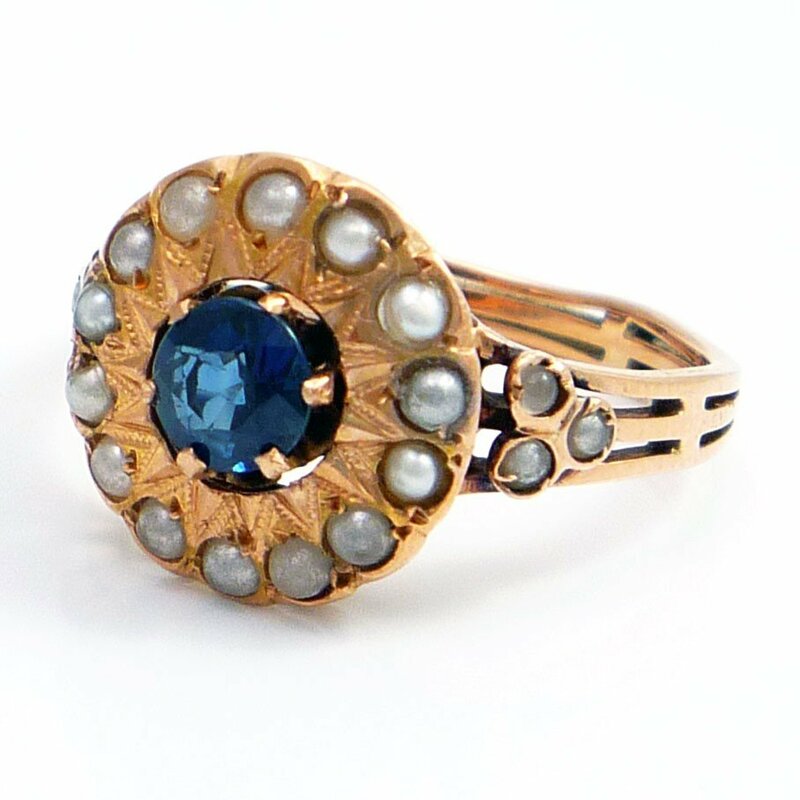 The sapphire and pearl ring IS fit for a new princess…stunning jewelry!